Jasoosi Paheliya in Hindi - The best and new Jasusi or Jasoosi Paheliya or Riddles in Hindi language with English translation. We know detectives or Jassos are called brain masters , some time they solve toughest mysteries with their quick wits. 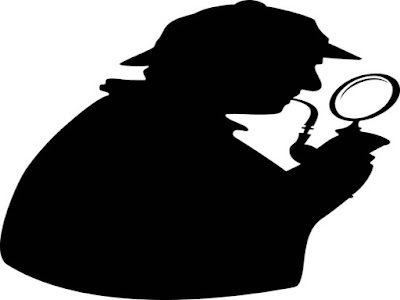 In this post we will tell you some riddles or paheliya that will give you an insight of methods or questions asked by the detective for solving the mystery. #1 Jasoosi Paheli - How the man is get Caught ? आदमी कैसे पकड़ा गया? One day a person killed his wife and hides the dead body in the park behind his home , then man went to police station and filed report that his wife is missing , The police found the body in the park and call the person to reach to the Crime Scene, immediately? Man then reached to the Park behind his house. Police caught the Person for killing his wife. Riddle - How the police know that the man is killer. Answer - The police only called the person but did not told where is the crime scene. एक दिन एक व्यक्ति ने अपनी पत्नी को मार डाला और अपने घर के पीछे पार्क में मृत शरीर को छुपाया, तो आदमी पुलिस स्टेशन गया और रिपोर्ट दर्ज की कि उसकी पत्नी गुम है, पुलिस शरीर को पसंद करती है और व्यक्ति को अपराध दृश्य तक पहुंचने के लिए बुलाती है, हाथोंहाथ?